For close to twenty years, artist Lynda Lanker has traversed the territory that scores of artists have roamed—the American West. But Lanker's eyes and artistry have been firmly fixed on a seldom-heralded group of individuals who have played a vital role in forging the fabric and soul of the American West. Her portraits document a vanishing way of life and honor the matriarchs of the West—hard-working ranchers, mothers, cowgirls, wives, and homemakers. An exhibit of her work, "Tough by Nature"—on display at the Jordan Schnitzer Museum of Art and the University of Oregon through September 9th—and an accompanying book, Tough by Nature: Portraits of Cowgirls and Ranch Women of the American West, showcase Lanker's passion for the West and the women who have shaped it. Lanker travelled to thirteen states to sketch, paint, interview, and photograph more than fifty iconic Western women. "I hope the people who see this book and visit the exhibition come away feeling the ruggedness, the beauty, and the cultural tradition of this life," she explains. "For this ranch life, long romanticized, is harsh and makes one tough by nature. What these women and their families are doing is admirable. They have made an indelible imprint on the American landscape." Influenced by Andrew Wyeth and Thomas Hart Benton, Lanker uses a variety of media—pencil and charcoal, oil pastel, egg tempera, plate and stone lithography, engraving and drypoint—to capture the spirit of her women. Just as the Farm Security Administration’s photographic chronicles of the Great Depression have fixed that time and its hardships in our collective memory, Lanker’s portraits, accompanied by her interviews with the forty-nine women featured in the book, will forever honor the unsung heroines of the West. For complete event information, visit the museum's website. You can purchase a copy of the book at the museum shop or online here. 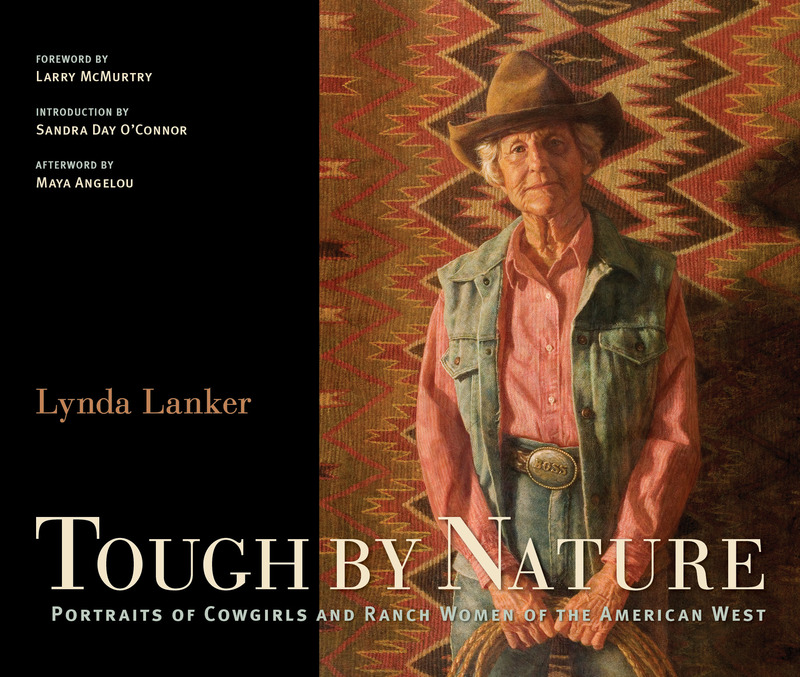 To learn more, watch an OPB ArtBeat segment on Lynda Lanker, and follow "Tough by Nature" on Facebook. 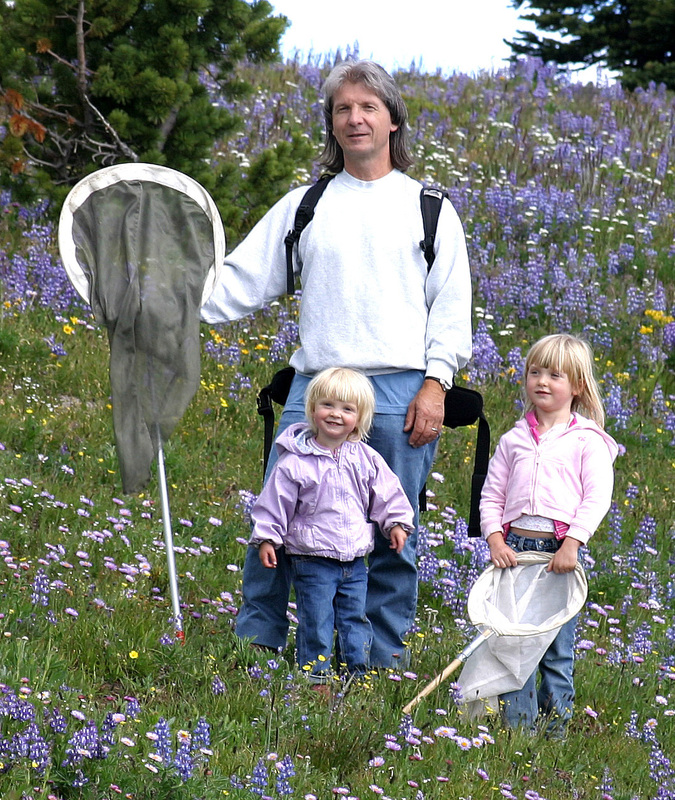 We are delighted to welcome guest blogger David G. James, co-author with David Nunnallee of Life Histories of Cascadia Butterflies. We guarantee his reflections will inspire everyone to head to the fields, nets in hand. Can butterflies have secrets? Well, they surely do. We see them visit our flowers sipping nectar for a few minutes or we see them flying towards our windshield as we hope for a last-minute reprieve from death, but that’s just about as much as the average adult person knows about the life of a butterfly. However, if our children attend elementary school, we may have heard of Painted Ladies and learned that these are a species of butterfly that the kids were rearing. It is not a coincidence that the Painted Lady butterfly rearing kit is currently the most popular purchase in the ‘toys and games’ section of Amazon.com. It is very likely that your children know a great deal more about butterflies and their "secrets" than you do. I recently "taught" butterfly classes to groups of kindergartners and second graders and was amazed at their enthusiasm and knowledge of butterflies! The second graders confidently told me that the largest butterfly in the world is the Queen Alexandra Birdwing and they knew all about caterpillar parts, how they feed, how they grow, how they defend themselves, etc etc. The kindergartners knew all about predators, chrysalids, and proboscis and sang a song about thorax, abdomen, and heads. The biggest secrets of butterflies are those that concern their immature lives. The flying adult represents only one quarter of the life cycle of a butterfly. Seventy five per cent of a butterfly’s life is spent as egg, caterpillar, and chrysalis (or pupa). It is these stages that the children witness firsthand in their Painted Lady rearing experience. Witnessing the transformation of your own "pet" from egg to caterpillar to chrysalis to butterfly, all within 20 days or so, is captivating for the average (or not so average) child. How much better is this than just reading about it in a book?! The life histories of butterflies are fascinating. Every species is differen t and shows often unique strategies and adaptations to optimize development and survival. For a long time these life histories remained a secret; indeed, many are still shrouded in mystery or are totally unknown especially among tropical fauna. Unraveling butterfly life history secrets has been a passion of mine since I was a young boy in England and actually led me to a career in agricultural entomology. That thrill and passion for investigating the life histories of butterflies remains with me and recently culminated in OSU Press publishing a book I co-authored on the subject with David Nunnallee. 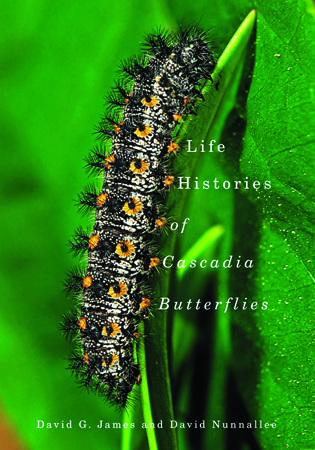 Life Histories of Cascadia Butterflies, which hit the shelves in November 2011, is a comprehensive treatment of the life histories of Pacific Northwest butterflies. Dave and I are proud to have created a unique book that focuses on illuminating the biology and ecology of the other 75 percent of a butterfly’s life. The laboratory and field work involved in such a book was enormous and we took the best part of a combined 20 years to complete it. The life history of every species (except one!) that occur in southern British Columbia, Washington, northern Oregon, and Idaho is covered in the book with high quality images of every stage (including all instars). We provide information on host plants, behavior, physiology, seasonality, development, defense, natural enemies and conservation. We reared every species, many of them multiple times, and obtained a large amount of new information. We uncovered many secrets of caterpillar lives. For instance we found that many caterpillars have a ventral "neck" gland that emits chemicals to repel predators and warns neighboring caterpillars of imminent threats from predators. However, with nearly all species we raised more questions than answers and since we were on a mission to complete the book, we did not have time to answer all the questions. Thus, for most species we include recommendations for further research. In many cases this research could be done by enthusiastic amateurs. So the "secret" lives of Pacific Northwest butterflies are slightly less secret now but there are still opportunities for important discoveries to be made. We need to know as much as possible about every species. This information could be critical in ensuring we are well equipped to ward off threats to their future survival. There are already far fewer butterflies flying today than there were 50 years ago, mainly as a result of habitat loss. It's not too late to reverse this trend, but we need to learn more about the secret lives of butterflies. David G. James is a professor at Washington State University in Prosser, Washington. 'Neck' gland of a caterpillar of a Callippe Fritillary butterfly. Recent research suggests this gland expels chemicals that repel predators like ants. Listen to the interview on OPB's Earthfix. Read the news release at Washington State University. Read the review at North Coast Diaries blog.